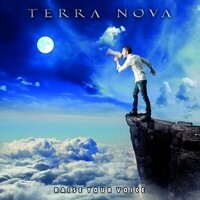 Dutch band TERRA NOVA have released their seventh studio album “Raise Your Voice” and it is an attention grabber for folks interested in melodic rock. “Raise Your Voice” will be released late January via Melodic Rock Records, though the Japanese edition will be released through King Records. There are many shades to TERRA NOVA as songwriters, however, it is clear that the music here is very much a team effort. This edition of “Raise Your Voice” has a different running order because it is a Japanese release. Title track “Raise Your Voice” starts off with a killer riff not much different than the Scorpions, that leads to an outstanding chorus. “Rain” is one of the stand out tracks on the album to be sure. Driving and will certainly get stuck in your head. “Be Who You Are” is a grower of a song. Builds up and has some great guitar tones. If anyone could write the modern day version of “Juke Box Hero” by Foreigner, it would be TERRA NOVA, because “Rock ‘n’ Roll Hero” is dead on and grooves with bass and the perfect amount of keyboards. “Breath in Breath Out” rocks out in layers to come together and grab the listener. If you dig AOR that is mature like a fine wine, then you might like “Don’t You Walk Away”. Which is sure to be a fan favorite. TERRA NOVA haven’t produced a flawless album, but an album that has layers which must be peeled in order to be appreciated. If you like Journey, Van Halen, Styx, and dare I even say Chicago, then “Raise Your Voice” is something you may enjoy. Again, not a perfect record, but many of the songs that stand out are quality songs and will certainly made an impact. AOR/ melodic rock fans will also feel right at home.